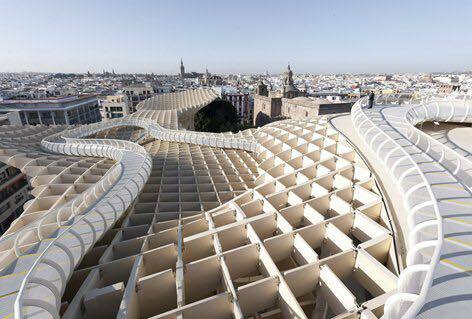 The "Metropol Parasol“ scheme with its impressive timber structures offers an archaeological museum, a farmers market, an elevated plaza, multiple bars and restaurants underneath and inside the parasols, as well as a panorama terrace on the very top of the parasols. 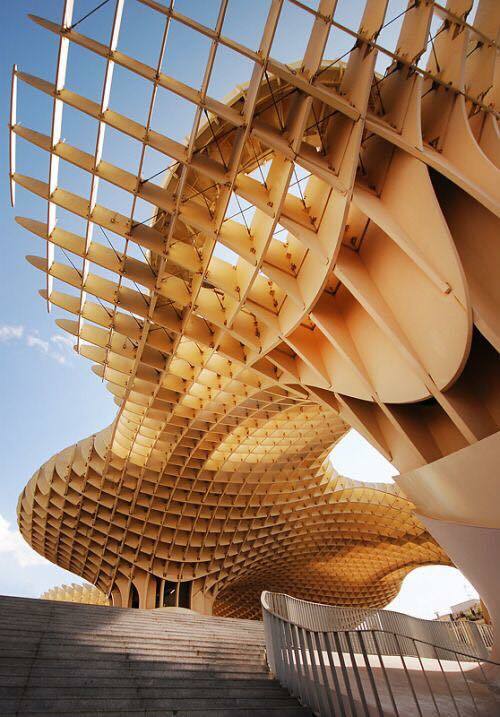 Realized as one of the largest and most innovative bonded timber-constructions with a polyurethane coating, the parasols grow out of the archaeological excavation site into a contemporary landmark, defining a unique relationship between the historical and the contemporary city. "Metropol Parasols“ mix-used character initiates a dynamic development for culture and commerce in the heart of Seville and beyond. J. MAYER H. Architects Project Team: Juergen Mayer H., Andre Santer, Marta Ramírez Iglesias, Jan-Christoph Stockebrand, Marcus Blum, Ana Alonso de la Varga, Paul Angelier, Hans Schneider.